Matt works in partnership with Russell Reddell in the Queenstown office; a collaboration which has seen them negotiate some of the largest private property transactions in the market. Their focus is predominantly on High Country Stations and Lifestyle properties throughout the South Island, rather than traditional residential real estate. This formidable team have a strong reputation and considerable track record of success. The combination of Mattâ€™s background in property valuation and commercial leasing, with Russellâ€™s business acumen and negotiation skills, make for a strong and well-balanced partnership. With considerable experience in high-end real estate, difficult transactions and hard-to-sell properties, Vendors often turn to this team to get results. Both Matt and Russell have lived in Queenstown for over 25 years, resulting in incredible local knowledge of the residential market. They are consequently regular sellers of the resortâ€™s residential and lifestyle properties. Offering a discreet and savvy approach to all property transactions, market-leading knowledge and results at the top end of the iconic property sector, contribute to the ongoing success of this unique team. Matt and Russell have considerable experience in dealing with high-net-worth individuals and offer exceptional exposure to a large local and international database. Russell Reddell and Matt Finnigan have recently sold my 10,000m2 waterfront lot at Jacks Preserve in Queenstown. This transaction was conducted recently with an excellent result. I can highly recommend their services to anybody that is ...considering selling their property if they are looking for an reliable agent with a high sense of responsibility, professionalism, discretion and completion. 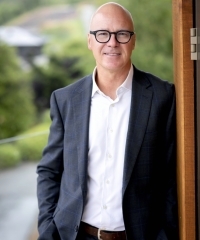 I have known and dealt with Russell Reddell and Matt Finnigan at New Zealand Sotheby’s International Realty in Queenstown for five years and have been continually impressed by their professionalism and capability. In the most recent tr...ansactions they facilitated, the extremely complex purchase of a large property at Homestead Bay in the Jacks Point zone. This was a difficult process which stretched over 18 months, and required considerable negotiation and persistence on their part. They are currently providing assistance as principal agents in the sell-down of large rural residential sites there, and we hope they will continue to assist in the ongoing development and sale of the larger consented scheme, which will comprise approximately 300 apartments, 2 hotels with a total of around 400 rooms, and other ancillary residential development. The overall sales value of the development is expected to be in excess of $500 million, and we have chosen them to provide services on the basis of their experience and performance to date. I would be happy to provide further testimony as to their capability if and when called upon.